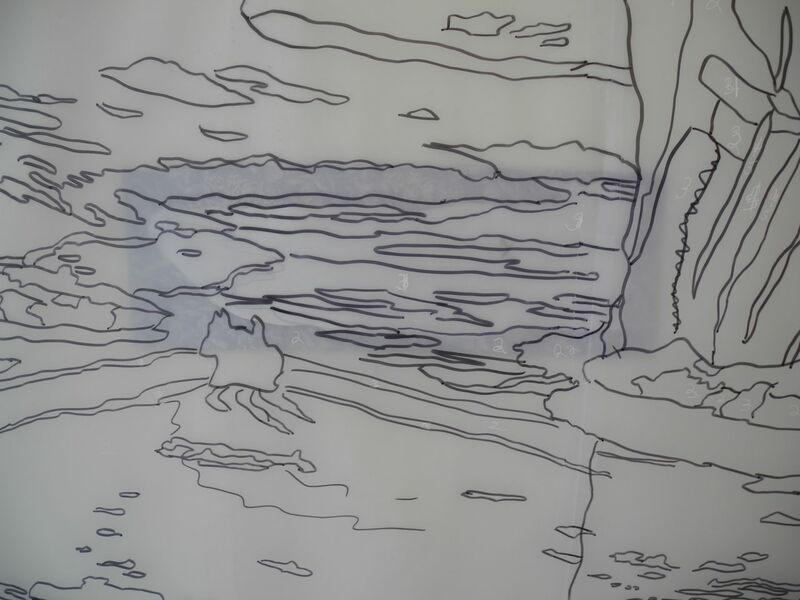 A few weeks ago, I wrote about an experiment in using a mylar pattern in my latest art work. 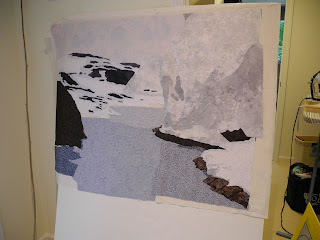 I am finding it quite a useful addition to my process for my fused applique art quilts. 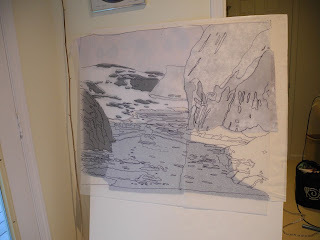 After creating a pattern on the mylar based on an enlarged photo, I began tracing pattern pieces from the mylar onto freezer paper and then cutting out appropriate fabrics fused with MistyFuse. 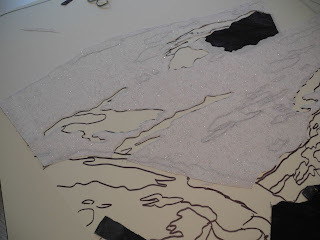 I then used the mylar as an overlay on some muslin and began laying out the pieces. 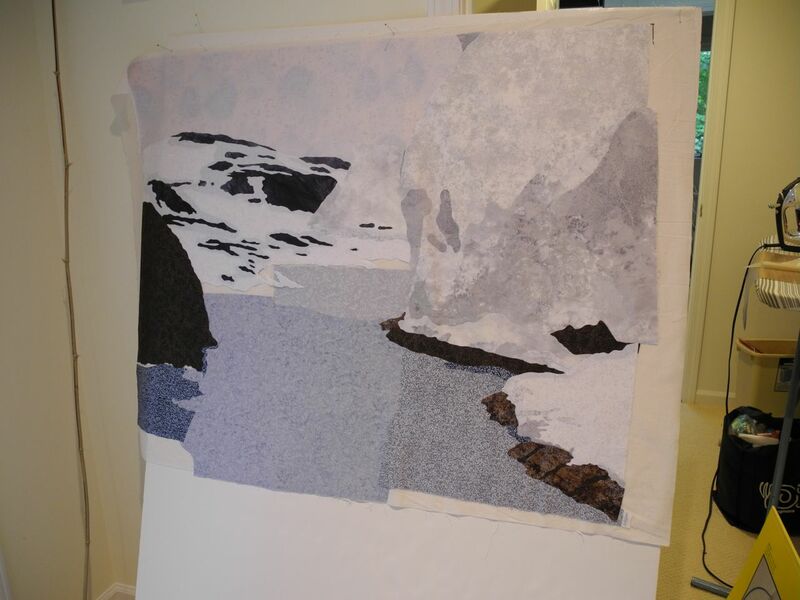 In one area of the art piece, I used a reverse applique process before setting in the fabrics. 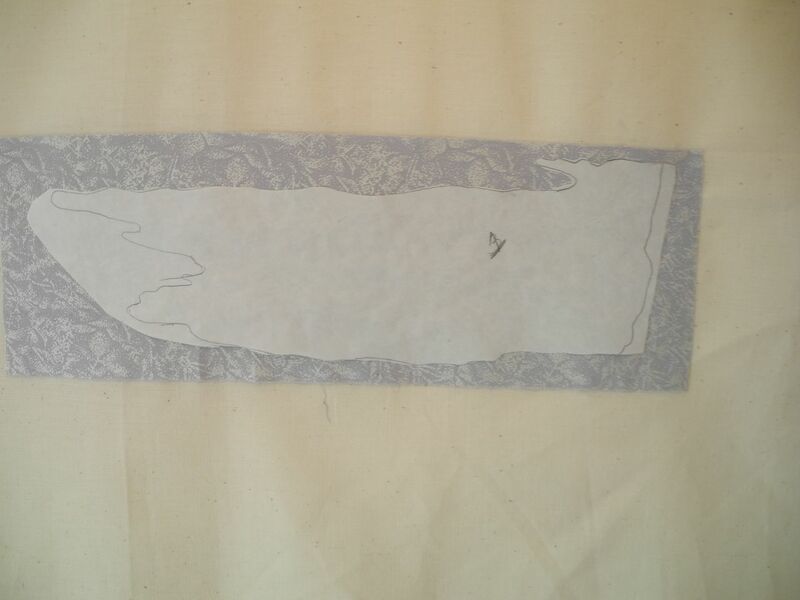 The mylar pattern was quite helpful in marking the places to cut the fabric. Slowly the muslin is being covered with fabric. 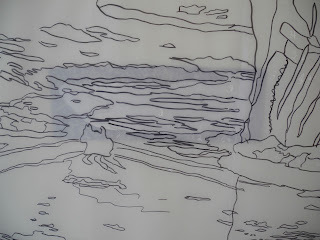 Here you can see the piece with the mylar overlay. Finally, there is enough fabric set in that I am only using the mylar to cut pieces and no longer need to pin it to my design board to place fabric. I still have a lot of detail work to fuse but it is exciting to see the landscape taking shape. 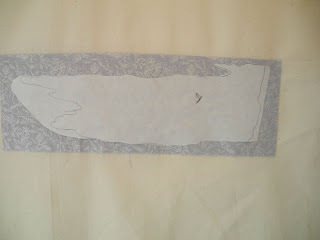 Yes, thank you for sharing this process..would not have thought of using mylar...can't wait to see how you complete it!